Celebrating the versatile and complex performances of Barbara Stanwyck, one of the most successful and memorable actors of the Golden Age of Hollywood, ahead of a major retrospective at the BFI. 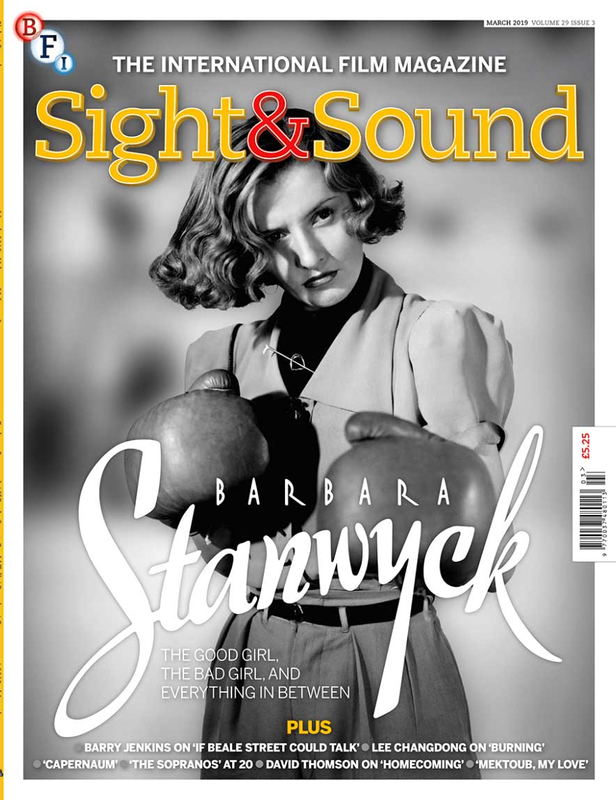 Pouring equal parts noir and blanc, with a dash of femme fatale and a twist of ingénue, our March issue raises a glass to the enigmatic Barbara Stanwyck, one of Hollywood’s most versatile actors. Inviting us through the astonishing trajectory of Stanwyck’s career is Molly Haskell, who starts the story with Stanwyck dancing for the Ziegfeld Follies as a 1920s flapper girl, making a name for herself in racy pre-Code films and then flourishing with directors like Frank Capra, Fritz Lang and Douglas Sirk into the 50s. Dipping into her key performances in The Lady Eve, Baby Face and more, Haskell dissects Stanwyck’s mercurial on-screen presence. Unlike her contemporaries, Stanwyck was a freelance actress not bound by any studio, and her professionalism, independence and cool intelligence not only made her popular with whomever she worked, but echoed in her roles. This distinctive personality would manifest itself in characters such as go-getters, working women, loving mothers or – after the success of Double Indemnity – manipulative femmes fatales. They’re fascinating roles, which under Stanwyck’s realisation brought humour to the darkest characters and malice to the lightest. “We want the good girl, the bad girl, and everything in between,” writes Haskell. 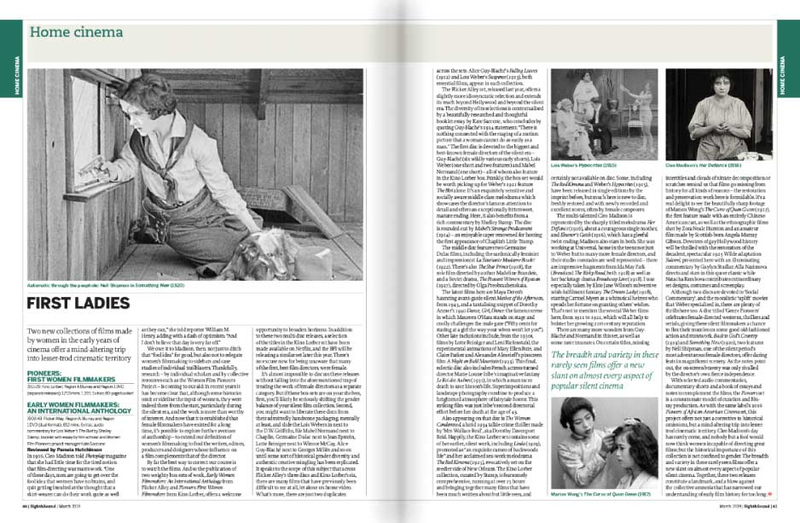 Enjoy the whole cocktail by grabbing our March issue before BFI Southbank’s Starring Barbara Stanwyck season. It’s not only the famously husky Stanwyck voice we’re celebrating this issue, but also the indelible voice of James Baldwin. 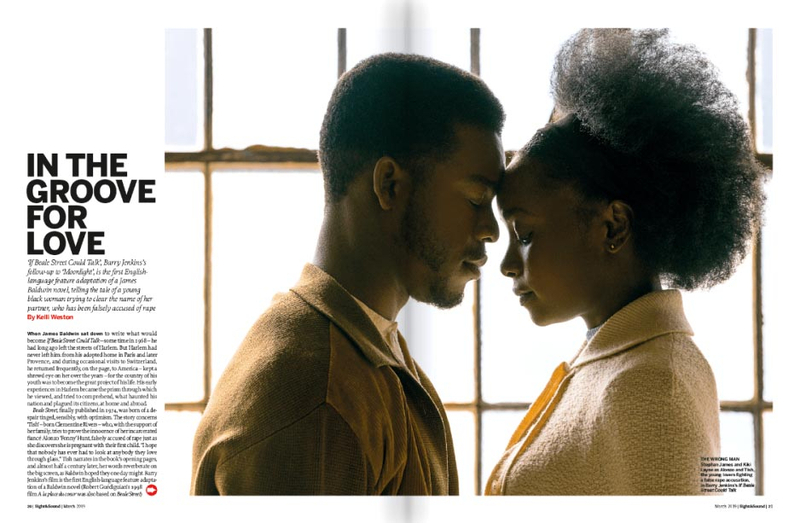 His fantastic prose has finally been adapted for the first time in the English language by long-term fan and Moonlight director Barry Jenkins, who has taken his If Beale Street Could Talk and turned it into a lyrical meditation on racial injustice in 1970s Harlem. Kelli Weston sits down with the director to talk Baldwin, that Britell score and how he crafted such a sensuous mode of storytelling. “It doesn’t have to be exhibited in the dialogue for the audience to feel it,” says Jenkins. Another director at the height of their craft is Lee Changdong, whose Burning is finally reaching UK viewers this month after setting festival audiences alight on its worldwide tour. 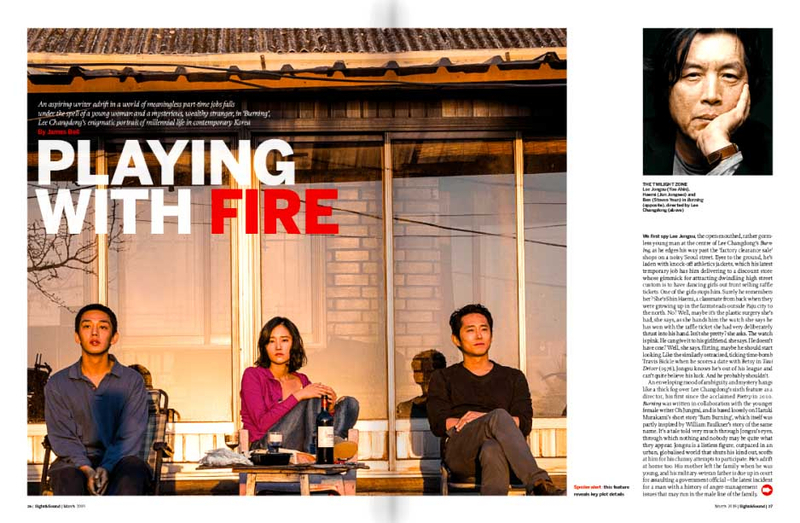 Though it’s an adaptation of Murakami’s re-telling of a Faulkner story, Burning speaks to a very contemporary issue, one of millennial disaffection in Korea (and byeond) thanks to the insidious nature of employment in the gig economy. “There are problems in society that we don’t necessarily perceive or can’t quite put our finger on,” Changdong tells James Bell. 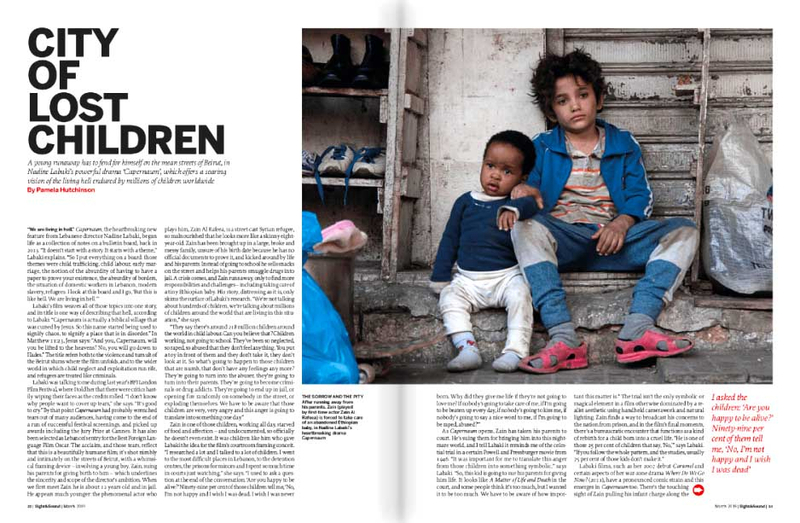 An impassioned Nadine Labaki is also deeply concerned about today’s youth, imploring Pamela Hutchinson: “If you want to solve evil in the world, you take care of the children.” Her latest feature, Capernaum, speaks for those children who don’t have a voice: victims of child trafficking, child labour and early marriage. Coaxing incredibly rich performances from such young, street-cast actors, her story about a Lebanese boy suing his parents for bringing him into this world is an intimate tale that relates to the living hell millions of children endure worldwide. Finally, before extended reviews of the Melissa McCarthy-Richard E. Grant vehicle Can You Ever Forgive Me? and Abdellatif Kechiche’s latest Mektoub, My Love, we take time to remember the filmmakers, writers and actors who left us in 2018. 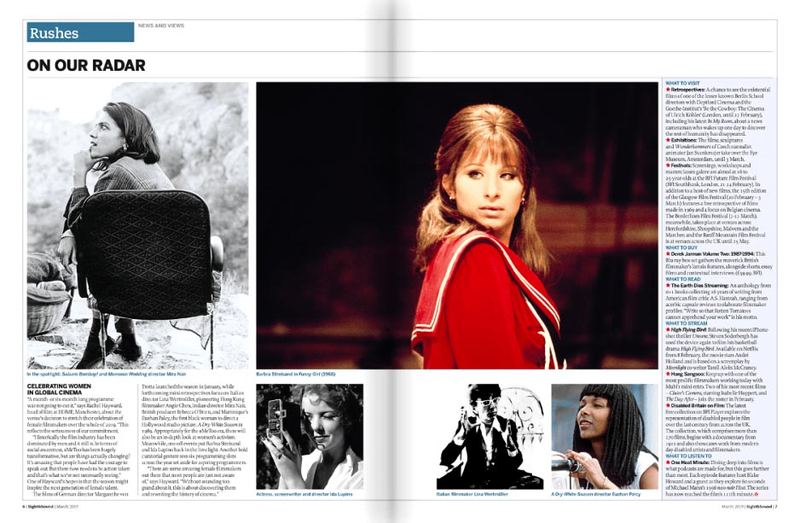 Celebrating the film culture that they shaped and the legacies they leave behind, we have expanded obituaries on Penny Marshall, Nelson Pereira Dos Santos, Mrinal Sen and William Goldman. Turn to Home Cinema and read our thoughts on Julia Roberts’ noirish Amazon Prime series Homecoming, and reviews of two new collections of DVDs that celebrate Early Women Filmmakers. 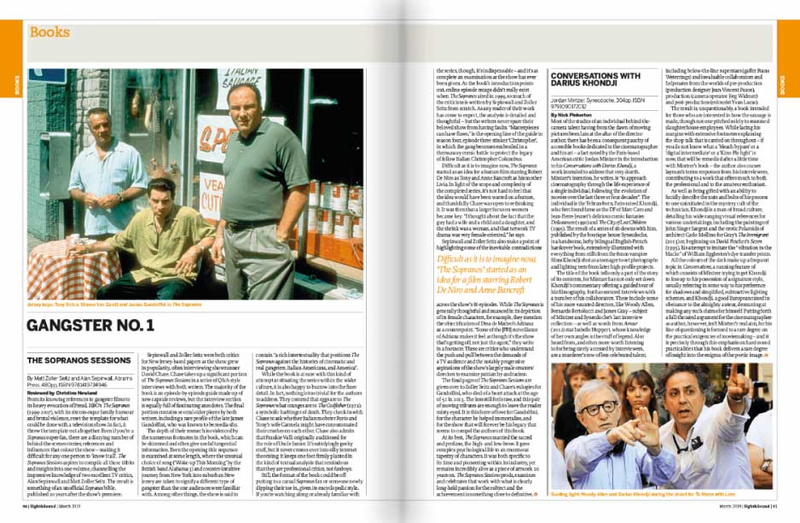 In our Books section, Christina Newland pores over The Sopranos Sessions – the new definitive tome on HBO’s iconic series, 20 years after its pilot aired. 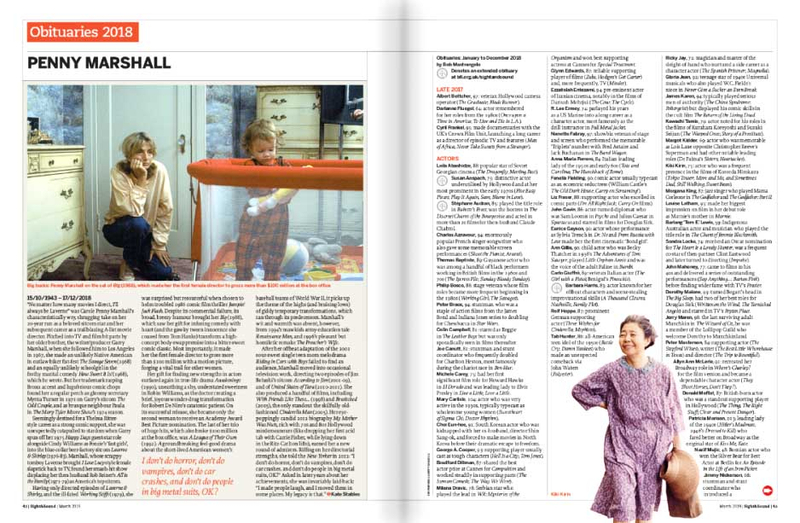 And still there’s more, including a chat with Sara Colangelo, who directs the Maggie Gyllenhaal-starring The Kindergarten Teacher; a focus on the essential work of Native American experimenter Sky Hopinka; Tony Rayns’ detailing of an upcoming Straub-Huillet retrospective; and why the ending of the second film in Kieslowski’s Three Colours trilogy is so significant.